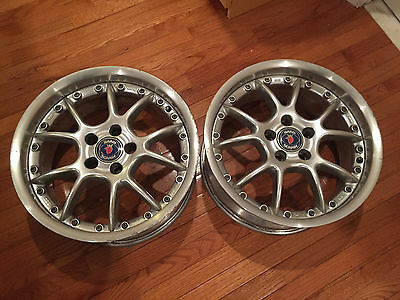 Two BBS RK-II rims for sale. 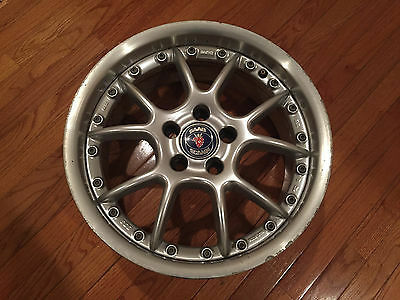 These were spare rims for my SAAB 9-5 Aero; however, I no longer own that particular SAAB, so these should find a proper home. 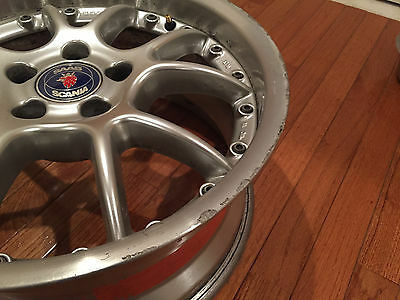 The rims include the original SAAB/Scania centercaps. These are in pretty good condition, although they have a little curb rash. 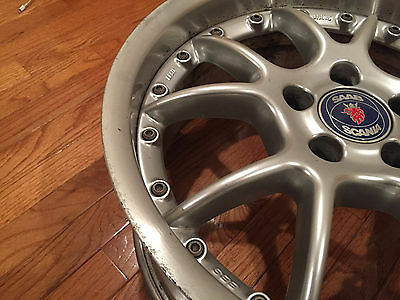 These were never installed on my own vehicle - I bought a set of four rims several years back when I needed two for my own vehicle (I needed to replace one damaged rim, and wanted a full-size spare in the trunk). These two rims have been sitting inside a closet for five years, so they're in decent shape. I know they'll fit SAAB 9-5's, 9-3's, and perhaps a few other cars - I'll leave it up to you to confirm. I assume if you've searched for 'SAAB BBS' you know exactly what you're looking for - and you've found it. Local pickup is available, or I can ship to you using whatever shipping method you prefer (USPS, FedEx, USS). Once you tell me your preference, I'll get a quote to ship, and I'll add the exact shipping charge to your total.